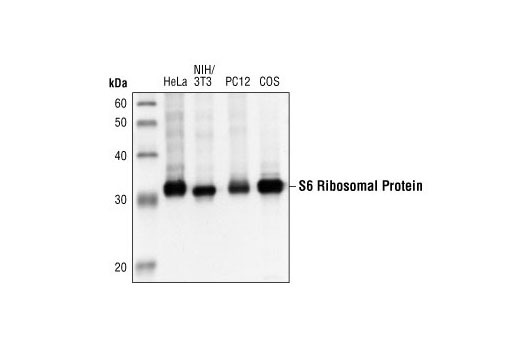 Western blot analysis of extracts from HeLa, NIH/3T3, PC12 and COS cells using S6 Ribosomal Protein (5G10) Rabbit mAb. 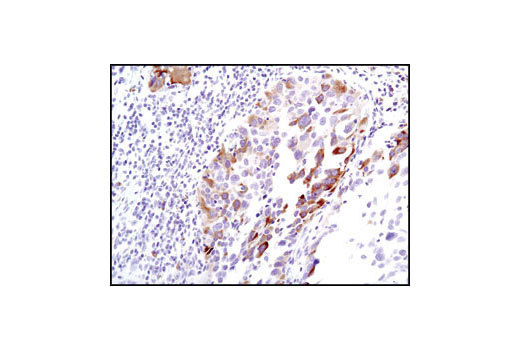 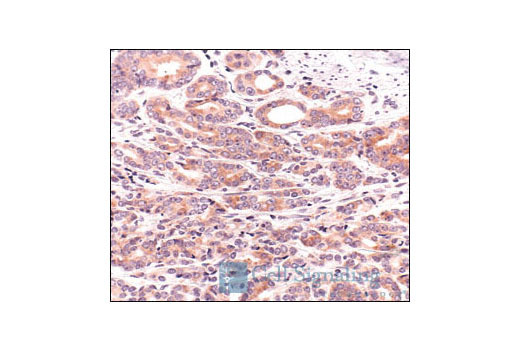 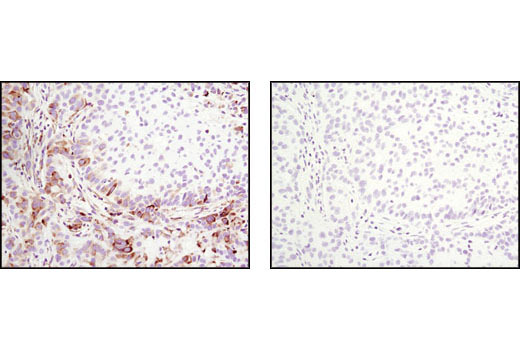 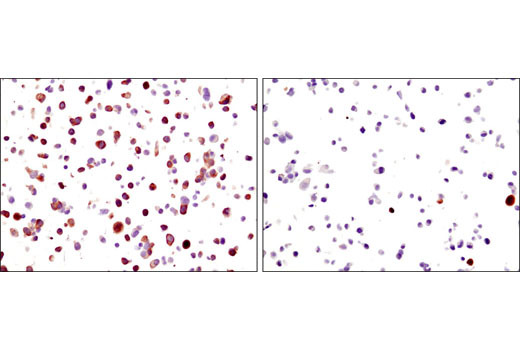 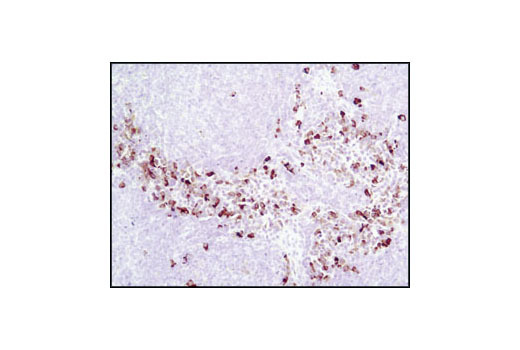 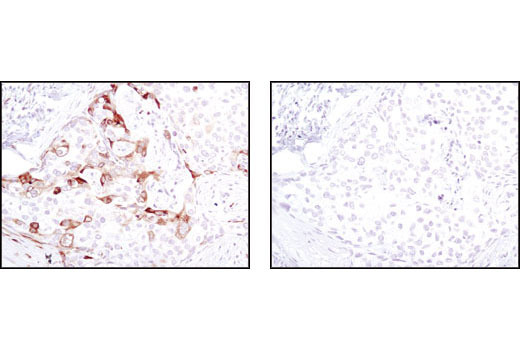 Immunohistochemical analysis of paraffin-embedded human breast carcinoma using S6 Ribosomal Protein (5G10) Rabbit mAb. 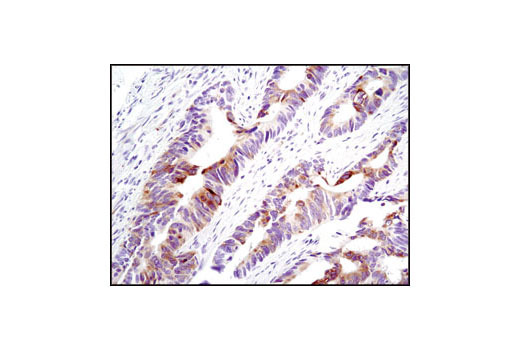 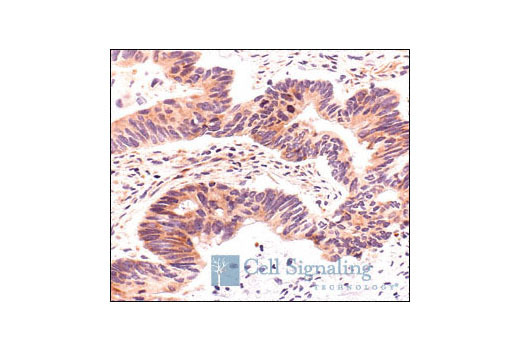 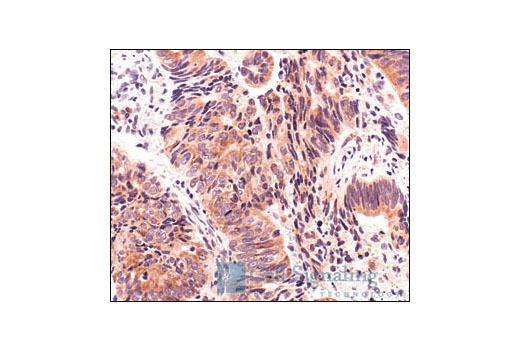 Immunohistochemical analysis of paraffin-embedded human colon carcinoma using S6 Ribosomal Protein (5G10) Rabbit mAb. 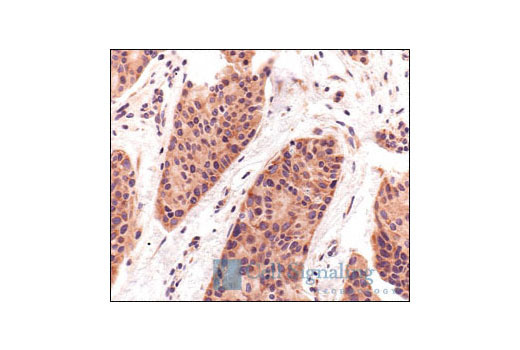 Immunohistochemical analysis of paraffin-embedded human lung carcinoma showing cytoplasmic localization using S6 Ribosomal Protein (5G10) Rabbit mAb. 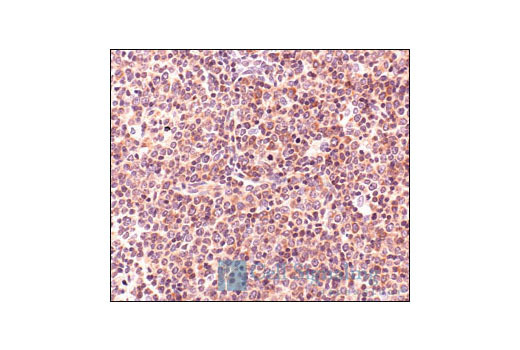 Immunohistochemical analysis of paraffin-embedded human Non-Hodgkin's lymphoma, using S6 Ribosomal Protein (5G10) Rabbit mAb. 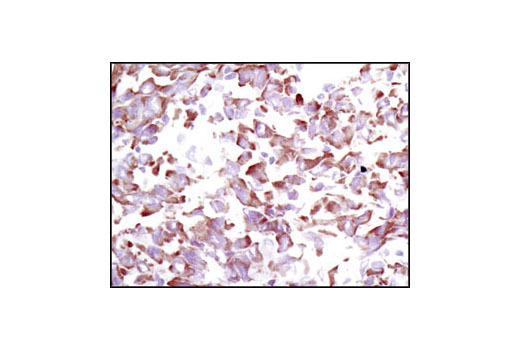 Immunohistochemical analysis of paraffin-embedded human prostate carcinoma using S6 Ribosomal Protein (5G10) Rabbit mAb. 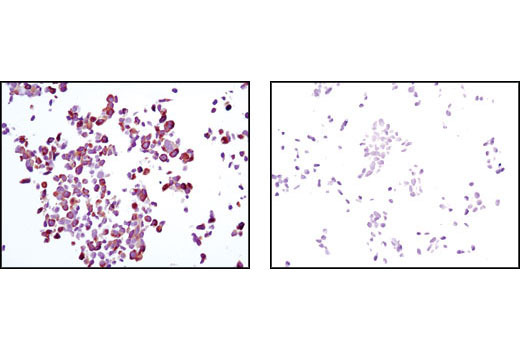 Confocal immunofluorescent images of HeLa cells labeled with S6 Ribosomal Protein (5G10) Rabbit mAb (red, left) compared to an isotype control (right). 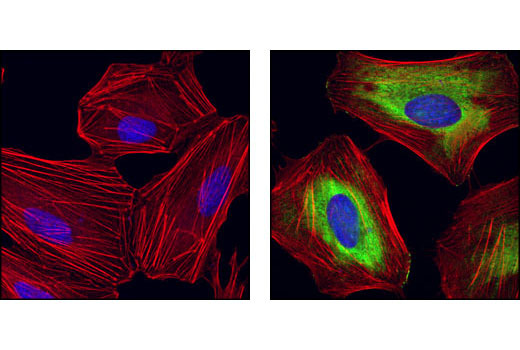 Actin filaments have been labeled with fluorescein phalloidin. 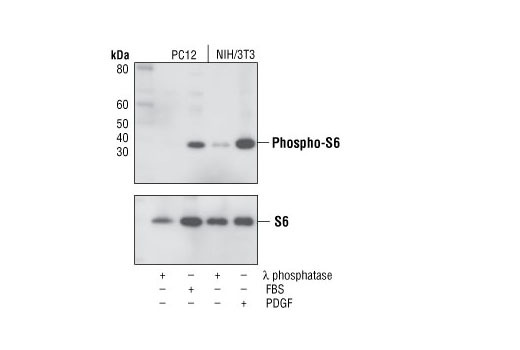 Blue pseudocolor = DRAQ5® #4084 (fluorescent DNA dye). 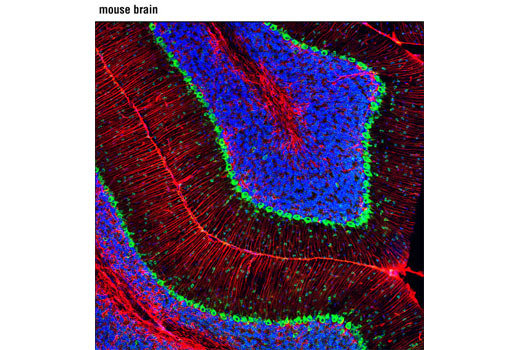 Confocal immunofluorescent analysis of mouse brain using S6 Ribosomal Protein (5G10) Rabbit mAb (green) and GFAP (GA5) Mouse mAb #3670 (red). 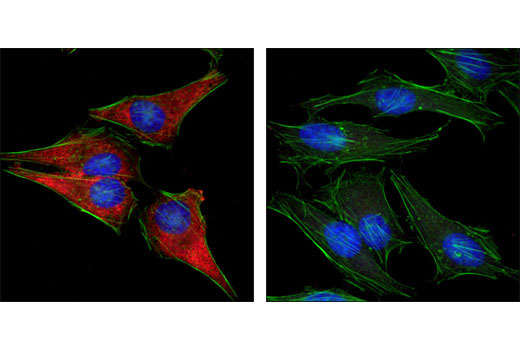 Blue pseudocolor = DRAQ5® #4084 (fluorescent DNA dye).